Replace Less Often. Minimize Injury. Smoother Ride. Noise Reduction. The AXX Wheel's ergonomic design allows for easy maneuvering, pushing and pulling at even the highest load capacities (up to 1,500 lbs per wheel! ), thus reducing the risk of strain and injury to operating employees. Engineered to detract debris on even the most covered floor, the AXX Wheel lasts longer and offers premium floor protection! 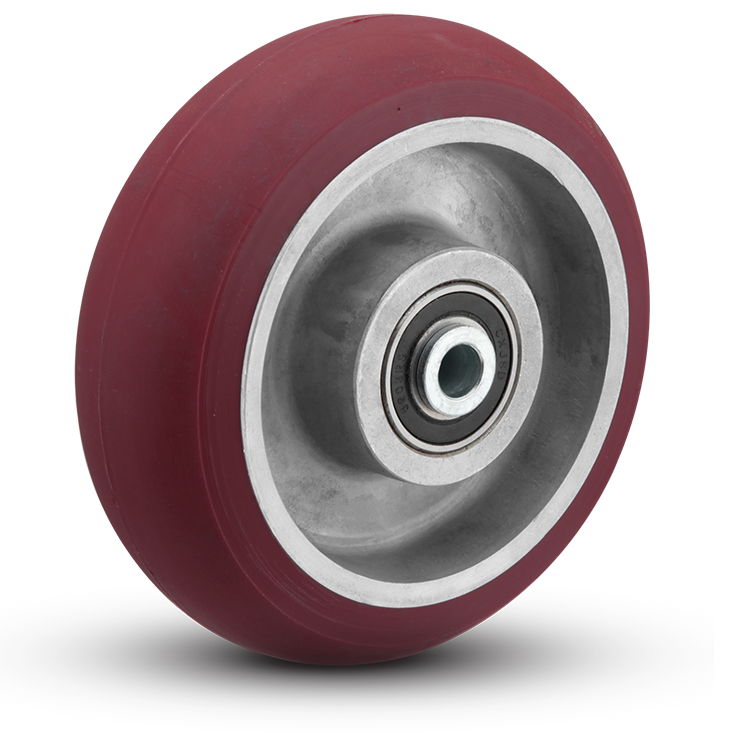 The AXX Wheel is manufactured using a high quality and resilient 85 Shore A Polyurethane bonded to an Aluminum core. 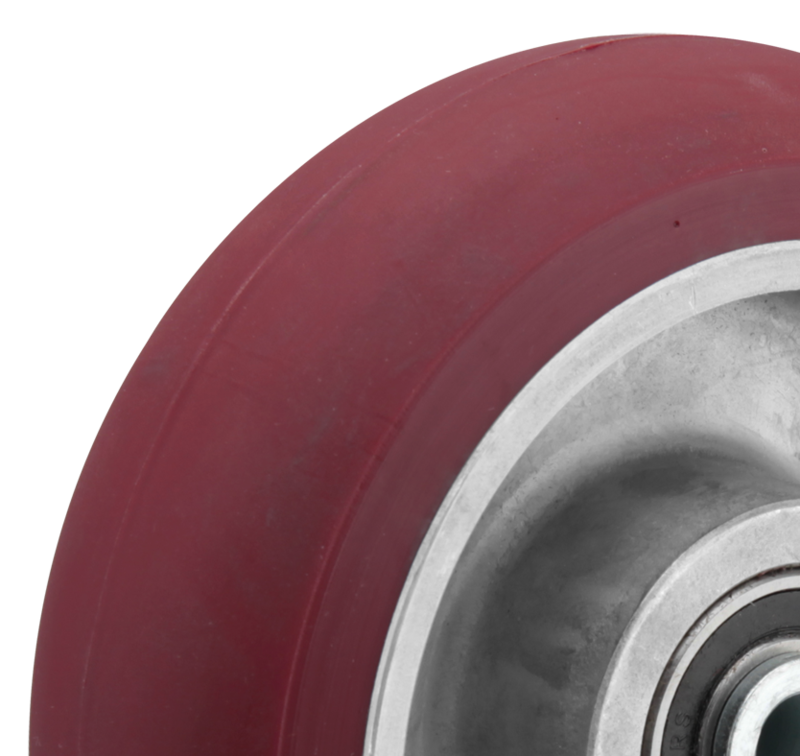 It's impressive durability saves money by having to replace the wheels less ofter than other standard wheel designs. This material makes it extremely versatile and works well with several applications, especially towline applications! 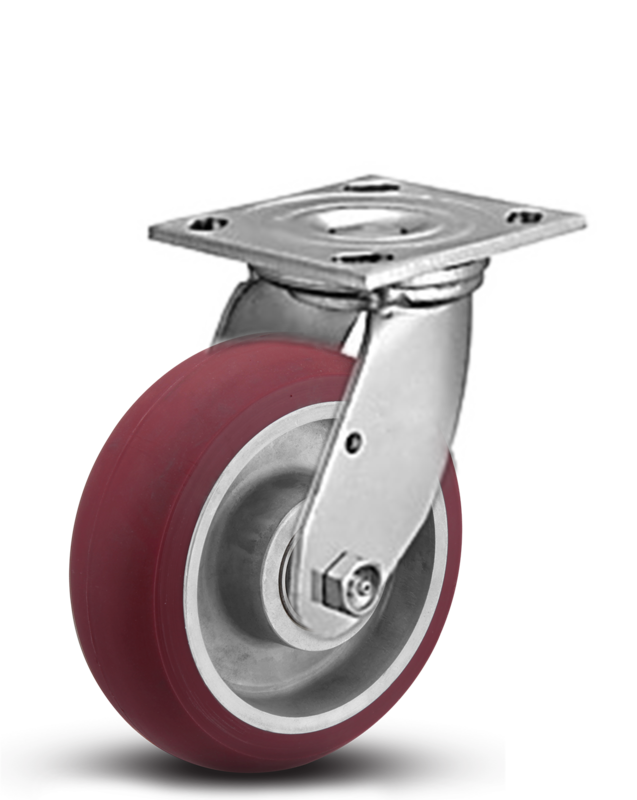 The specially designed wheel material makes the AXX Wheel skid resistant, and the maintenance-free sealed precision ball bearing offers a super quiet and smooth ride! Request a Quote, Sample or anything else. Copyright © 2017 CasterDepot, Inc.